Building a successful business online is all about building a system that works for YOU, to help you sell your products, services and affiliate offers. As you know, I am no stranger to that aspect of online business. 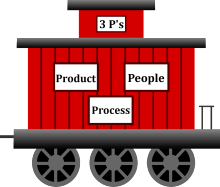 There are 3 main components to creating a successful and solid online business, the first of which we refer to as the 3P’s. Businesses need product, people and processes. The other two components will be discussed in a later post. PRODUCT: Finding a product to promote is easier than ever. You do NOT have to be a product creator to offer something that will bring value to others. Be sure to ask yourself first if the product you choose will do that before going on to the next step. Today’s savvy consumers are moving away from hype and get rich quick programs. They demand value. You don’t have value, you don’t have sales. Too often, newcomers to Internet marketing are easy to spot. They are the ones that lead first with their product rather than starting a conversation. They think that all they have to do is start selling their product, whether an affiliate product or an MLM company product and they will make sales. Lack of knowledge about the correct marketing process will unfortunately lead them to failure. And it doesn’t have to be so! To make sales they will also need people. Approaching people with your product in hand is a sure turn off. PEOPLE: Who do you surround yourself with to attract targeted prospects? It’s not just about traffic but also about you, your mindset and your marketing approach. That’s why there is so much emphasis on creating a brand for yourself. Of course creating a brand is not essential to make sales. If you have tons of money to drive people to your product offer using PPC and other paid advertising then please do so. However, most people don’t have ready cash to pour into something they know nothing about. But they do have some available cash ready to learn how to do it properly on a budget. What usually happens, however, is that most people will spend $27 here, $49 there and $17 elsewhere to find the answers only to find out that they only have a piece of the puzzle. If only they had combined all those little payments into one and hired someone that WOULD share with them the correct processes of setting up a real online business, they would probably be months or even years ahead. The correct process will take the user through the selling experience. PROCESS: What is the user experience as they move through your sales funnel? The word “sales funnel” is banded around a lot but few know what it is less alone create one. A great user experience contains all the essential elements as they merge together to build a flawless and automatic process that needs very little attention if done correctly the first time. I’d love to help you work out the kinks and guide you toward an action plan that will work for you!